Therapeutic sound work with the drum incorporating simple rhythms for entrainment, mini drum baths, intuitive drum healings and a fun jam. Suitable for beginners and more experienced players. The drum has been used for healing and altering consciousness since ancient times. The BAST method of drum therapy brings modern understanding to inherited wisdom. We start by playing simple rhythms together to achieve a deep relaxed (yet often energised) state. In each session you will also have the opportunity to either give and receive a short drum sound bath (People tend to love this!) or work intuitively with the drum for healing which develops your skills and confidence with sound healing. One of the most joyful parts of the session is the jam. Sometimes we direct the sound for Earth healing, other times just for joy. 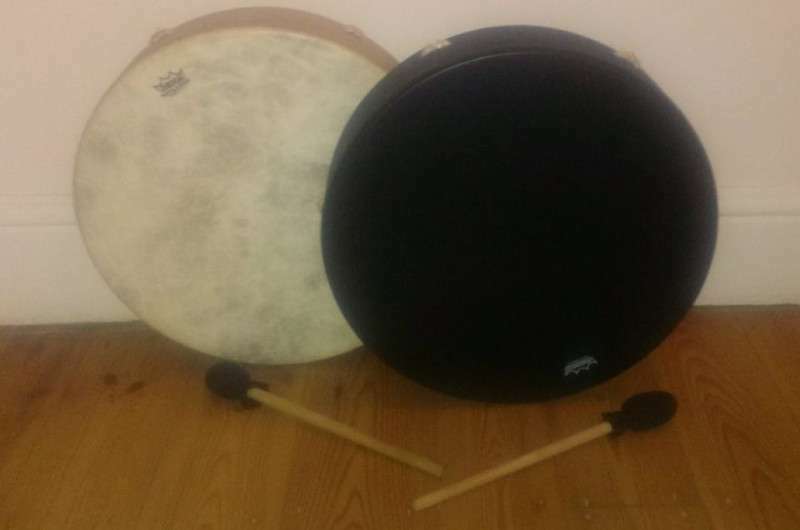 You will need a drum though I do have a couple available to borrow, please ask me beforehand. Booking Essential. Please bring a bottle of water with you. £10.